Chia-Ling Chien is the Jacob L. Hain Professor of Physics. He received his BS in physics from Tunghai University (Taiwan), and his MS and PhD from Carnegie-Mellon University. His current research interests include fabrication of nanostructured materials and the studies of their electronic, magnetic, and superconducting properties; skyrmion thin films, pure spin current phenomena, and magnetoelectronics. He has published more than 400 papers in refereed journals and several patents. He has an H-index of 81 with more than 28,000 citations. He is a Fellow of the American Physical Society and a Fellow of the American Association for the Advancement of Science (AAAS). 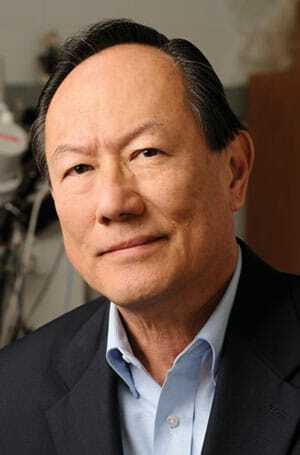 He is an honorary professor at Nanjing University, Lanzhou University, and Fudan University in China. He is the 2004 recipient of the David Adler Award of the American Physical Society and the 2005 Distinguished Lecturer of the Magnetics Society of IEEE. In 2012, he was the first recipient of AUMS (Asian Union of Magnetics Societies) award. In 2015 he was the recipient of the International Union on Physics and Applied Physics (IUPAP) Magnetism Award and Néel Medal, the highest award in magnetism given every 3 years.